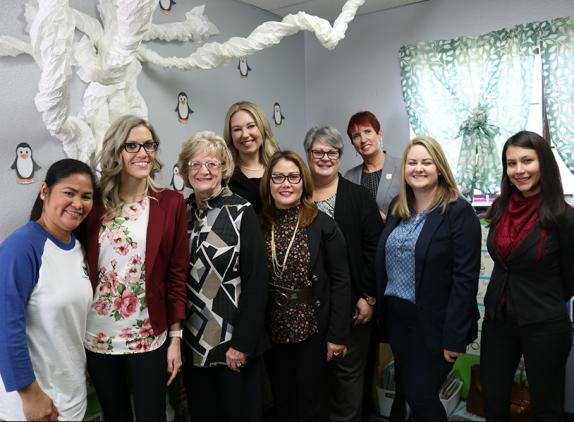 United Way of Southern Nevada (UWSN) received a three-year grant from Snell & Wilmer to provide children a quality early education and caregivers workforce development opportunities through the UWSN Neighborhood Network program. Along with providing a three-year grant for the Neighborhood Network program, the company runs a “best practice” United Way campaign, including employee presentations, special events and contests. 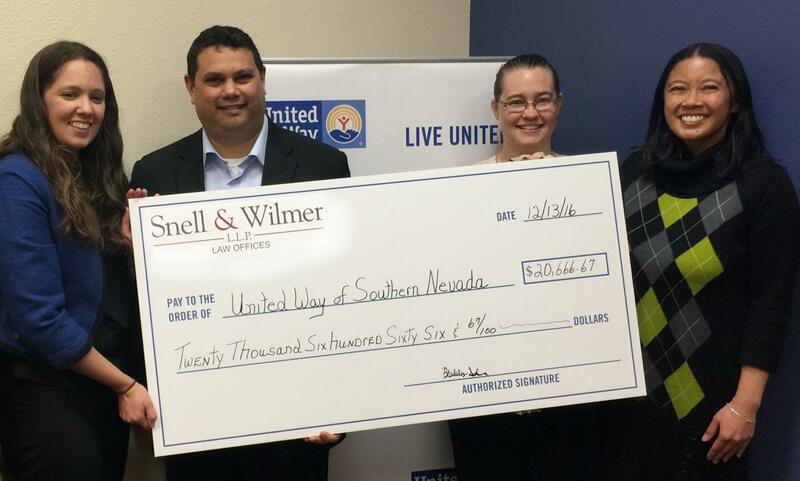 Through their commitment to creating a stronger community in Southern Nevada, Snell & Wilmer has raised more than $67,000 through their four-year United Way workplace campaign. Snell & Wilmer committed $62,000 to the Neighborhood Network in a three-year grant. Through the grant, Children will receive the opportunity to receive a quality early education in their neighborhood and caregivers will receive workforce development and training to be their child’s first teacher. To learn more, please contact Laurie Mann, United Way Senior Marketing Director at 702-892-2362.